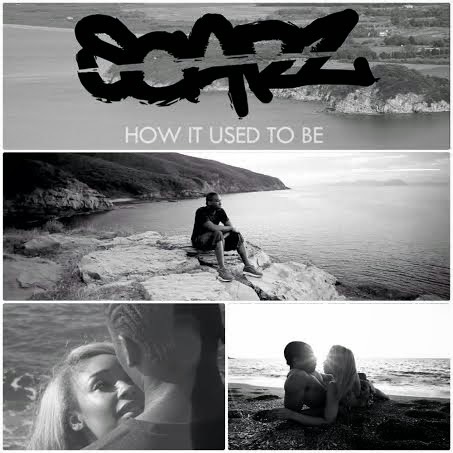 South East London’s Scarz releases the 2nd single 'How It Used To Be' from his debut album. On this heartfelt song we see a more sensitive side of Scarz who also produced the track. The rapper, producer and songwriter topped Channel U’s Most Requested Chart back in 2006 with anti-bullying track You Got Boyd but is now back with a bang. The track opens fans to a another side of Scarz who reminisces on a past relationship turned sour, but he instead reflects on the positives creating an upbeat pop worthy track perfect for those who find themselves thinking about a past ex this valentines day. The album 'Spread Love Not War' shows maturity with Scarz, who has always spoken up on social issues and used music to reach out to the youth which, frankly, is what music should be about. It’s refreshing to hear UK grime and hip-hop with a positive message in the lyrics. Scarz accomplishes this without detracting from the album’s raw feel – featuring a mixture of eclectic flows over hard grime beats. This is reflected in the album artwork, produced by the urban scene’s ever-popular Funny Tummy, who has also created album/mixtape covers for the likes of Angel, Tinie Tempah and Scorcher to name a few. Make sure you grab a copy of Spread Love Not War from iTunes.